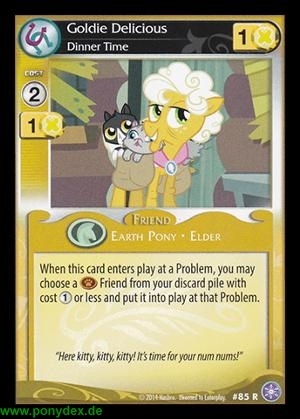 When this card enters play at a Problem, you may choose a Critter Friend from your discard pile with cost 1 action token or less and put it into play at that Problem. Here kitty, kitty, kitty! It's time for your num nums!"